When your hear the words “comic book movie”, most people immediately picture an action-packed blockbuster based on the exploits of colorful superheroes and villains. Admittedly, it’s not hard to see why this is the case: the vast majority of comics revolve around the thrilling adventures of these costumed do-gooders – so most big screen adaptations naturally follow suit. But the superhero genre is only one of many that the medium has embraced since the dawn of the first modern comics roughly a century ago. Escapist power fantasies have shown enduring appeal, yet writers and artists have used sequential art to craft disarmingly frank auto-biographies, scathing satires, meticulously-researched period pieces and more. More than a few of these graphic novels have caught the attention of Hollywood, successfully making the transition from the page to the silver screen. However, the absence of capes, tights or any of the other trappings typically associated with a film inspired by comics means that audiences very often don’t even realize what they’re watching is based on a comic book! 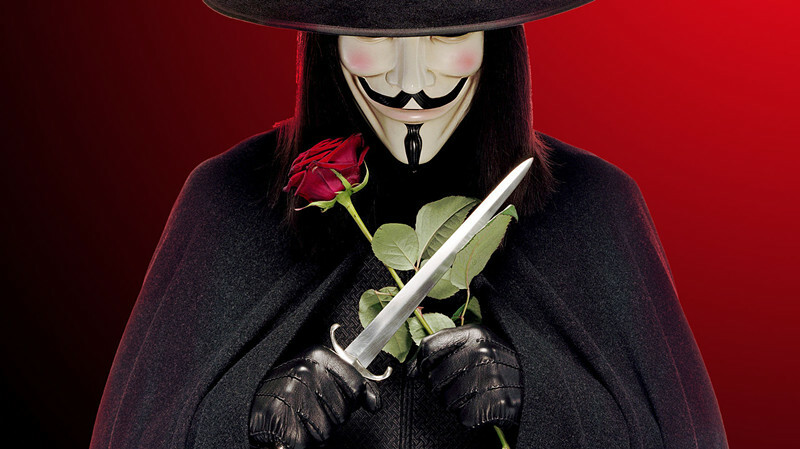 Well, we’re here to set the record straight with this rundown of 10 Amazing Comic Book Movies That Aren’t About Superheroes – and we think more than a few of these entries will surprise you! 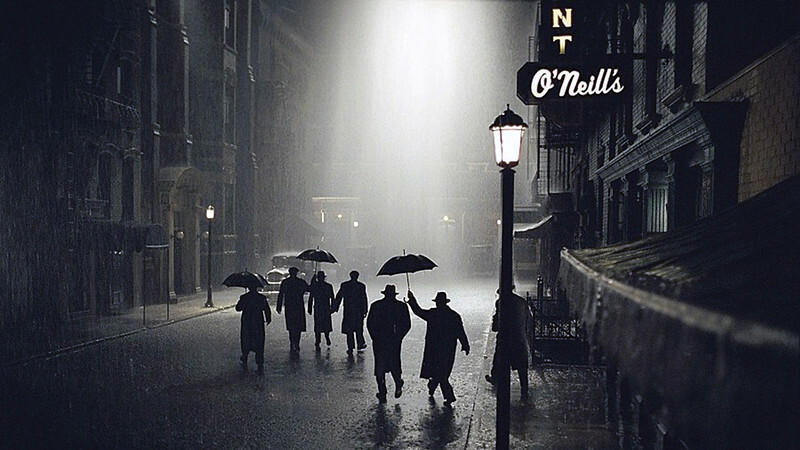 Director Sam Mendes’ 2002 adaptation of Road to Perdition is broadly faithful to the original graphic novel by Max Allan Collins and Richard Piers Rayner. Both stories follow a mob enforcer and his 12 year-old son on their quest to exact revenge on the gangster who murdered their family. However, there are many differences between the source material and its big screen counterpart – character names, plot details and more have been altered in order to translate Collins and Rayner’s work to the screen. Crucially, though, both versions of Road to Perdition are virtually identical in one respect: spirit. At the end of the day, the comic book and the movie offer equally tender portraits of a father/son relationship, as well as offering a meditation on the cost of violence to an individual’s soul. Sure, they approach each of these in different ways – as exemplified by their wildly different endings – but generally-speaking, film and comic are recognizably the same. And that’s good news, because Collins’ words and Rayners pictures provide a strong foundation for a top-notch crime flick. It also doesn’t hurt that Mendes draws strong performances out of a stellar cast which includes Tom Hanks, Paul Newman and Jude Law, or that Conrad Hall’s Oscar-winning cinematography is some of the best you’ll ever lay eyes on. If only all comics-to-screen transitions could be this good. The Scott Pilgrim graphic novels by Bryan Lee O’Malley are rightly celebrated for fusing manga-inspired art and video game mechanics with a disarmingly effecting coming of age story. Protagonist Scott Pilgrim is a slacker struggling to come to terms with the demands of adult life – basically, the perfect identification figure for anyone reading the books who is in their twenties (or ever was). That part of Scott’s journey of self-discovery – and a key driving force of the narrative – involves our hero defeating his girlfriend Ramona’s seven evil exes only adds to the brilliance of O’Malley’s tale. It’s a clever way of externally representing Scott’s internal struggles with his own insecurities as well as both his and Ramona’s pasts – not to mention a whole lot of fun, too. Obviously, the cinematic adaptation of the Scott Pilgrim series required a filmmaker who shared its quirky sensibilities – and it found just such an auteur in Edgar Wright. With his proven record of balancing comedy, action and genuine emotional weight – see Shaun of the Dead or Hot Fuzz for proof of this – Wright proved a perfect fit for the property. The film, Scott Pilgrim vs. the World, nails both the hyper-kinetic, visually-stunning aspects of O’Malley’s books, as well as their heartfelt, romantic core. Michael Cera makes for a spot-on Scott, while Mary Elizabeth Winstead is suitably likeable as the enigmatic object of Scott’s affections, Ramona. If the movie has any real weakness, it’s that it tries to cram so much in to its 112 minute runtime – but then, the Scott Pilgrim series encompasses six hefty volumes. So, short of anyone ever making a multi-part epic remake (spoiler: never gonna happen), Scott Pilgrim vs. the World is the best big screen version of this story fans could possibly hope for. 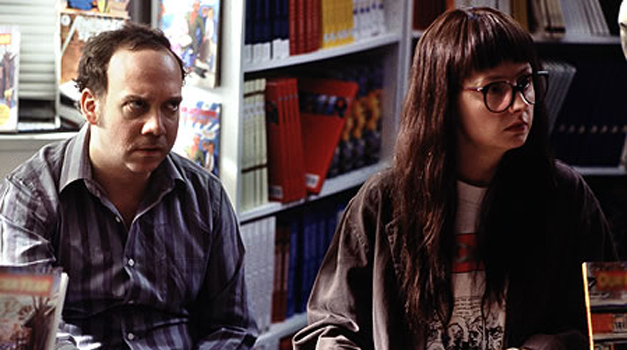 American Splendor is a comic book movie like no other. Shari Springer Berman and Robert Pulcini take an avant garde approach to adapting Harvey Pekar’s auto-biographical comic strip (along with Our Cancer Year, by Pekar and his wife Joyce Brabner), delivering a traditional dramatization of events interwoven with documentary footage. The whole thing is incredibly meta – at one point, a scene of actor Paul Giamatti as Pekar is juxtaposed with voice-over by the artist himself observing the pair look nothing alike! – but the end results are undeniably mesmerising. Critics seemed to agree, with Berman and Pulcini nabbing several awards for Best Screenplay, and the movie itself receiving the Grand Jury Prize at the Sundance Film Festival. Of course, a terrific screenplay is nothing without great performances to back it up, and American Splendor is fortunately blessed with Giamatti and Hope Davis (as Joyce), both on blisteringly good form here. As with many entries on this list, the graphic novel roots of The Death of Stalin were very much downplayed by those in charge of marketing the film. In fairness, director Armando Ianunnci has openly acknowledged his movie’s origins in interviews – even going so far as to describe the comic book as “captivating” – but he’s virtually the only crewmember to do so. Nevertheless, The Death of Stalin movie flat-out would not exist without the graphic novel by Fabien Nury and Thierry Robin, even if the two works are very different beasts. Notably, Nury and Robin’s approach to the subject matter – a dramatization of the political turmoil in the wake of Joseph Stalin’s unexpected demise – is less of an obvious satire than Ianunnci’s adaptation. Indeed, in a lot of ways, Iannuci and co-screenwriters David Schneider, Ian Martin and Peter Fellowes used the comic as a jumping off point, borrowing a few key scenes and its basic structure, but little else. 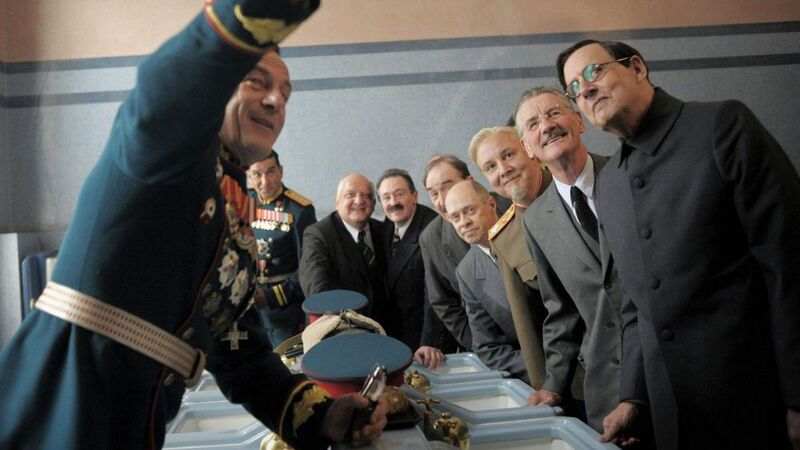 Still, The Death of Stalin succeeds despite departing heavily from its pen-and-ink cousin, thanks to a healthy dose of Ianunnci’s trademark caustic wit, not to mention a veteran cast including Jason Isaacs, Steve Buscemi and Michael Palin. If we’re ranking comic book adaptations based on fidelity to their source material, it’s hard to beat Ghost World – which boasts a screenplay co-written by creator Daniel Clowes! Having said that, what makes the film work is actually how Clowes and director Terry Zwigoff avoid slavishly recreating every last panel on the screen, focussing instead on capturing the story’s quirky vibe, instead. The other key ingredient this Oscar-nominated black comedy benefits from is its talented cast, who all bring their A-game. Thora Birch and a pre-fame Scarlett Johansson excel as misfit teenagers Enid and Rebecca, with an always-excellent Steve Buscemi rounding out this outsider trio as eccentric older gent Seymour. Toss in the considered cinematography by Alfonso Beato – who labored to deliver a visual style that stood apart from the prevailing comic book movie aesthetic of the time – and you’re left with something truly special.